Do you cringe every time you open your utility bill — especially during the extreme summer and winter months? Instead of cowering in fear of your energy usage, take control and start conserving. In addition to reducing your utility bill and protecting the environment, you can actually earn money by reducing your energy output. One such company that pays to save is Ohmconnect. The service is free to use and pays you to save energy. The more you save, the more you earn! Depending on your total energy use, you could earn up to $300 per year. Sound too good to be true? Fear not. There are a variety of simple, cost-effective strategies for reducing your apartment’s energy use that you can start implementing right now. So, let’s get saving! Check out these seven tips from the team here at TLC Properties for conserving energy so you can put more cold hard cash back into your wallet. 1. Turn off lights and fans when you leave the room. This tip may seem like a no-brainer, but you’d be surprised at how often lights are left on when not in actual use. You may be thinking, “But, it’s just one light… how much of a difference does it really make?” The answer might surprise you. Turning off just one 60-watt bulb for four hours a day equates to approximately $9 in savings over a year. Those savings could be used for a free movie ticket, an entree at your favorite restaurant, or an Uber ride downtown! Multiply this strategy by several bulbs turned off all day, and your savings are even more substantial. Commit to being hyper-aware of your light and fan usage and rely on natural light during the day instead. Summer: Set the thermostat as close to the outdoor temperature as possible during the day and night (that you can tolerate, of course). Increase the setting when you’re not at your apartment. Winter: Shoot for 6870 during the day and 6568 at night. Reduce these settings when you’re gone. To help make these temperatures more comfortable, dress appropriately indoors. Wear light, loose fabrics during the summer and layer up during the winter months (think wool socks and cozy blankets!). 3. Mind your water usage. A long, hot shower in the morning may feel great to you, but not to your pocketbook! Hot water is expensive. If you and your apartment roommate were to cut your shower time by just one minute each, you could save approximately $30 over a year! 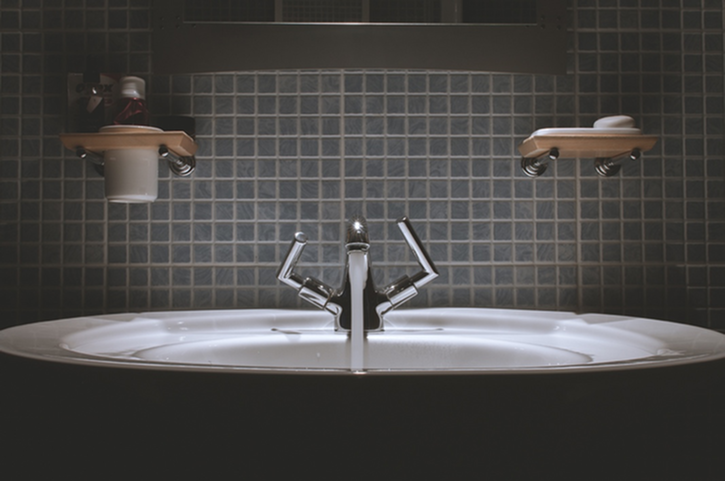 Pour on the savings by turning water off while shaving, washing your hands, and brushing your teeth. 4. Insulate your floors and around windows. Hot and cold air from outside can easily seep through window gaps, door frames, and bare floors, which causes your indoor heating and cooling system to work overtime. Insulate bare floors with area rugs, and block gaps around windows and door frames with weather strips or draft guards. By doing so, you’ll ensure the energy inside your apartment stays put and won’t be overworked by competing outdoor drafts. 5. Ditch traditional light bulbs. Traditional incandescent light bulbs consume an excessive amount of electricity and need to be replaced often. Upgrade to energy-efficient bulbs instead, such as halogen incandescent bulbs, compact fluorescent lights (CFLs), or light-emitting diode bulbs (LEDs), which use anywhere from 25-80% less electricity and last three to 25 times longer than traditional bulbs. You’ll spend a bit more upfront for energy-efficient light bulbs, but think of it as an investment; the longer service lives mean they actually cost you less over time. Gadgets have an insatiable thirst for electricity. Cell phones, laptops, electric razors, electric toothbrushes, gaming systems, and more all require the use of chargers. These devices, when plugged into a charger, are constantly sucking energy from your apartment like tiny technological vampires. Even if a device is turned off, it will continue to use electricity as long as it’s plugged into the charger. The electricity used by devices when they are turned off, fully charged or in standby mode is called a “phantom load”. 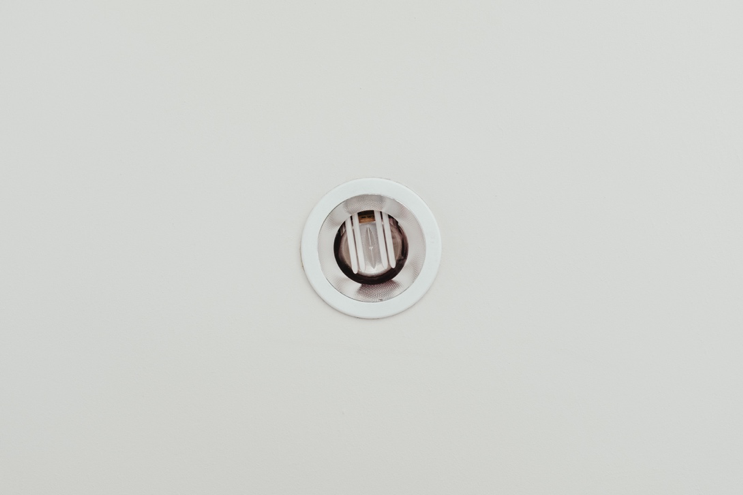 It’s estimated that 75% of the energy used to power apartment electronics is consumed when they are switched off, which can cost you up to $200 per year, according to Energy Sage. To solve this problem, you have two options. First, you can commit to unplugging your devices once they’re fully charged. A second option is to invest in smart power strips, also known as advanced power strips. These strips eliminate phantom loads by shutting off the power to electronics when they’re no longer in use. Smart power strips can be programmed to turn off at an assigned time, during a period of inactivity, through remote switches, or based on the status of a “master” device. 7. Use smart window treatments. Windows are a major source of thermal energy loss. In fact, 10-25% of indoor energy is lost through your windows alone! Curtains are super effective at keeping indoor air where it belongs. When choosing the right window dressing, look for blackout and/or insulated curtains. Blackout curtains can curtail your indoor energy loss by up to 25%, reducing both utility bills and greenhouse gases. 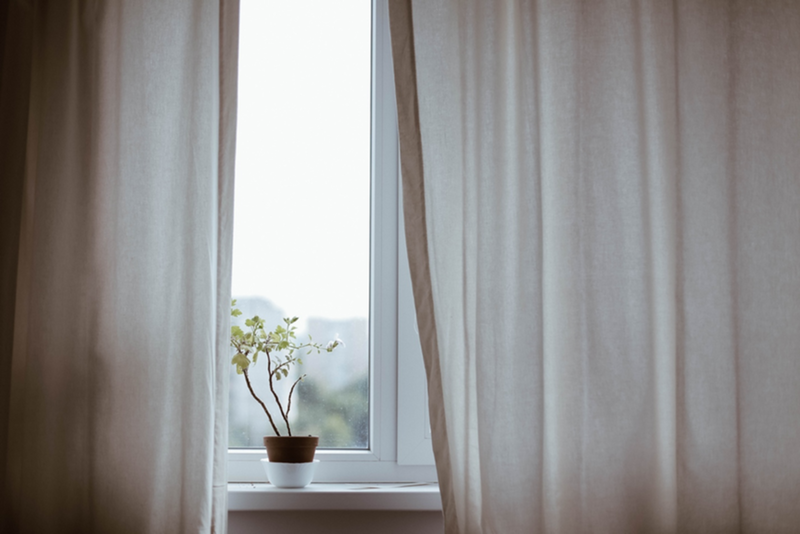 During the summer, close your drapes during the day to keep heat out and for the winter months, close at night to keep the heat in. Bonus Tip: Rent with TLC Properties! Did you know? 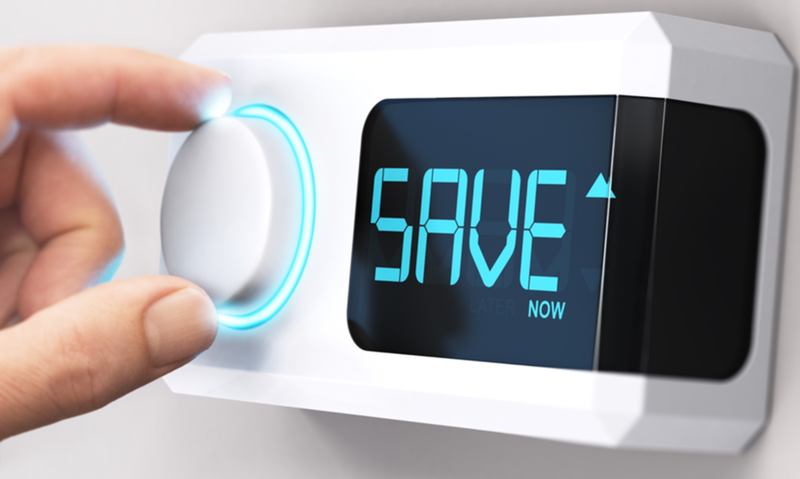 Many of TLC Properties' apartment complexes include energy-saving appliances and programmable thermostats, which are some of the best ways to greatly reduce your monthly utility bill. Just by renting with TLC Properties, you’re already on your way to conserving energy and preserving the environment. Little changes can make a big difference. By implementing these simple energy-conserving tips, you’ll soon be saving green by going green. Do you have a great idea for conserving energy at your apartment? Share your advice with us and others in the comments section below. Then, make sure to share these tips with friends on Facebook and Twitter!